Middle East expert Dr. David Bukay opines that bringing terrorists to trial in Israel is a waste of money. 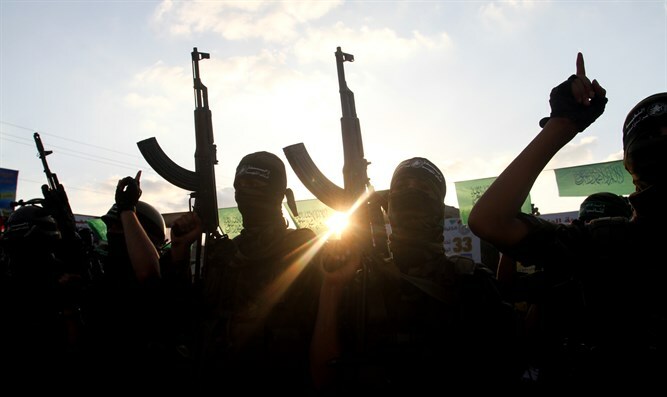 Middle East expert Dr. David Bukay told Arutz Sheva on Thursday that the death penalty for terrorists is unnecessary – because Israel should eliminate terrorists in the field. ​​"I want to eliminate them on the battlefield and not even get to a trial. Every terrorist scum is paid 180,000 shekels a year in Israel, which include being flown in a helicopter in order to receive medical treatment, financing the trial and receiving the best conditions in prison. Therefore, in my opinion, there is no need for the death penalty and no trial is required. A terrorist must be wiped out in the field,” he said, noting that this is the practice in many countries. "Do not roll your eyes. We did it here during the years of the knife attacks, and the same is done in many democratic countries. Whoever raises a hand must be wiped out," added Bukay. "Unfortunately, ever since the Elor Azariya incident, the IDF has gone from bad to worse. The soldier who did not kill the terrorist who murdered the Salomon family should have been sent to jail instead of being awarded a medal. Terrorists should be eliminated in the field,” he opined. However, there has been much opposition to the law, including by members of the coalition, and it is doubtful at this time whether it will be brought up for a vote in its second and third readings.